Penderyn Distillery boss Stephen Davies and Mark Boddington – part of the famous Boddington’s beer dynasty and managing director of Silverlining furniture in Wrexham – will be among the speakers at the Business @ Bangor event on November 29. 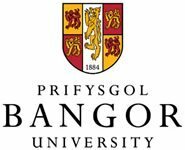 The day is a celebration of the achievements of the much-lauded 20Twenty Business Growth programme, facilitated by Bangor University. They will be joined at Venue Cymru, Llandudno, by 20Twenty founder Professor Brian Morgan and up to 150 representatives from company’s across North Wales. Benjamin Owen, managing director of Mochdre gym and health firm Fast Way to Fitness, is also set to attend and plans to deliver a unique workshop on Transformational Leadership. “We are really looking forward to appearing at the conference and having the opportunity to talk about leadership in different working environments, and the impact it can have on staff and results,” said Benjamin, a health coach for 15 years. “We look at how owners and managers can transform their business and help coach them to be better leaders by focusing on their own performance in an engaging environment, with quizzes, interaction with the audience and a stimulating discussion. Mr Davies and Professor Morgan led an insightful discussion for 20Twenty on leadership and entrepreneurship in Wrexham over the summer and are united once again to share stories of how the award-winning Penderyn Distillery – which Professor Morgan also founded – went on to international success. There will be an opportunity to ask questions and find out more about future plans, including a proposed retail outlet, visitor centre and training hub in Llandudno. Mr Boddington will also be available for a Q&A, where the audience can discover more about Silverlining; the company has seen some of its creations sent to the most exclusive residences in the world, from Dallas to Dubai, Moscow to Mayfair, as well as celebrities including Kevin Costner and the late David Bowie. 20Twenty Leadership Project Manager Gwenllian Owen believes this conference will be the best yet, a celebration of the hundreds of business people who have taken part in their programmes over past years. 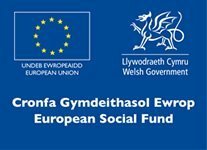 Targeting firms in Flintshire, Powys and Wrexham, part of 20Twenty’s success comes down to the support companies receive in funding; Up to 60% of the cost comes via the European Social Fund through Welsh Government. “The programmes and the conference itself are very much about experiential learning, which is why we’ve been successful,” said Gwenllian. “The courses are plugged into industry, so they are relevant and have a major impact on the decision-making of leaders in business as they go forward.  “To have attracted the support of such well-respected speakers is testament to the value they believe 20Twenty can bring, and we look forward to seeing them on the day.